As many of you all are very aware, the Samuel Roberts Nobel Foundation is an independent, nonprofit institute headquartered in Ardmore, Okla. Founded in 1945, the Noble Foundation conducts direct operations, including assisting farmers and ranchers, and conducting plant science research and agricultural programs, to enhance agricultural productivity regionally, nationally and internationally. Of most interest to us has been the myth breaking research done on the whitetail deer. This link will lead you to an online Deer Jaw Aging Tutorial and Quiz. Your results I think will reinforce the fact that molar wear aging does not work. 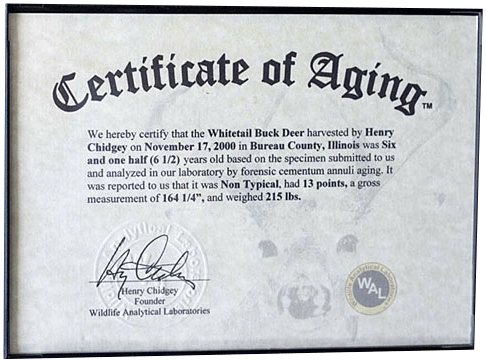 Enjoy and share it with your friends who are still believers that they or an “expert” can age deer based on the wear of molars. Here is another link that will take you to work done by Ken Gee, Senior Wildlife Researcher there since 1982.